My name is Malek Sahnoun. With this report I would like to convince you to take part in the Ocean Week Conference and to discover a wonderful country: Norway. 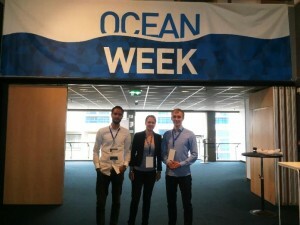 A good friend of mine, Anna Madlener, told me about her great experience on a previous session of the Ocean Week (see Report NTNU Ocean Week 2016 ). 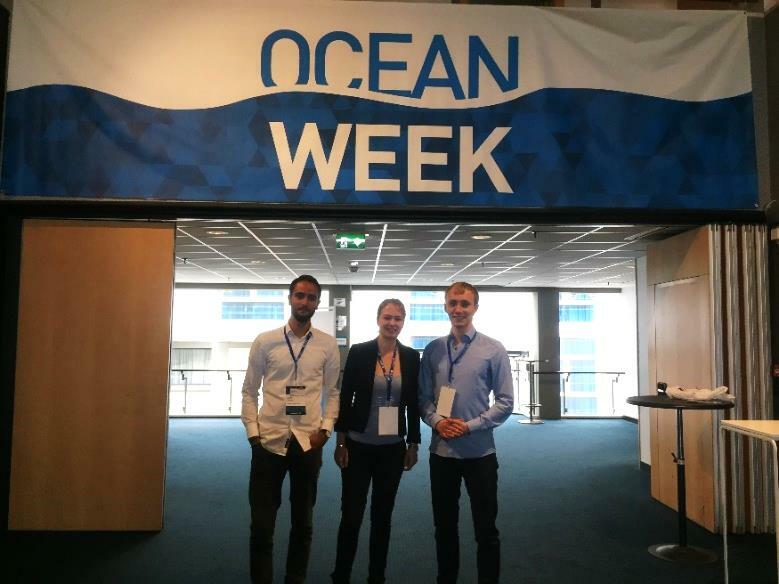 The Ocean Week is an annual conference hosted by the NTNU and SINTEF, where experts from a variety of institutions meet and present the latest developments in marine and maritime science and innovation. As a sailor, diver and a great admirer of marine technology I decided to apply for a participation in the “Ocean Week 2017 – Unravelling the unmanned”. The application procedure was simple and easily accessible on the website of Nordic Water Network. Leonie Inderfurth, Morten Droas and I have been fortunate to join the journey to Trondheim. I made use of the opportunity and went some days before the conference began to discover the beauty of Oslo and the stunning landscapes of the western fjords. On that account I would like to give you first briefly my impressions on the trip and afterwards on the Ocean Week by itself. The temperatures in Norway on the beginning of May were still around 0 °C. But I didn’t regret travelling there at all. When I arrived at Oslo airport I directly got emerged in the beautiful Scandinavian flair. Despite the fact of being one of the most expensive cities of the world Oslo has some interesting and affordable activities. Other than visiting the Oslo Opera House (for free) I would definitely recommend the Fram Museum containing the strongest wooden ship ever built which still holds the records for sailing farthest north and farthest south. I discovered additionally how many great explorers Norway has been producing since the Viking Age. Afterwards I headed to the western part of the country in a place named “Flåm”. On the long train journey I don’t remember taking my eyes off from the surrounding snowy landscapes. 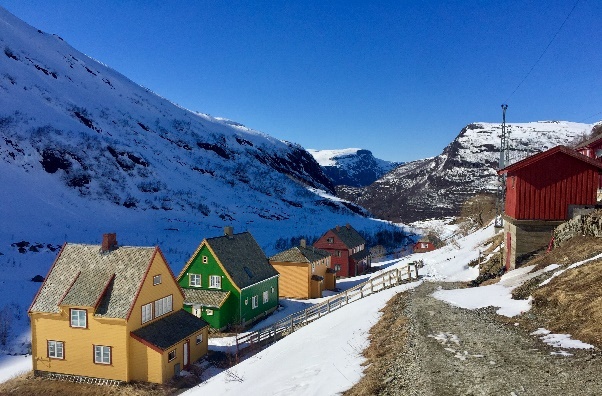 The line between Myrdal and Flåm, known as “Flåmsbana”, leads you through deep gorges, waterfalls running from snow-covered mountains as well as mountain farms. It is no coincidence that Lonely planet named it in 2014 the world’s most beautiful train journey. After I arrived there, I spent some time hitchhiking and discovering the Aurlandsfjord. The beauty of the nature left me thunderstruck. It was time to head up north to the technological capital of Norway, Trondheim for the Ocean Week 2017 which I couldn’t wait to take part in. DAY 1 – After an Introduction to the conference we got to choose between two parallel sessions: “Maritime Transport” and “Into the Deep Ocean”. Hard decision to make, but I finally decided to enter the last one. In this session the center of Autonomous Marine Operations and Systems (AMOS) at NTNU presented a range of research projects. In accordance with the theme of this years many autonomous marine robotics and ships were presented, for instance Underwater Snake Robots presented by a Professor & Key Scientist at NTNU. We also got some perspectives from DNV GL and Statoil future research projects. After the sessions we got transported to the Testsite Trondheimsfjorden for the demonstration of the world’s first test area for autonomous ships. DAY 2 – The second day was mostly about discussing political ambitions & social impacts with politicians and representatives from academia (professors and students). The party leader of the Norwegian Labour Party, the Canadian ambassador in Norway and the former secretary of state of the sea in Portugal were present. It was really interesting to learn about the political views for the future of the ocean space. A quote of the Canadian Ambassador happened to be inspiring and significant with reference to current crises: “There may be an ocean between us, but it is also the ocean that binds our peoples together”- Artur Wilczynski. DAY 3 – Last but not least two parallel sessions “Marine Minerals” and “Aquaculture”. The aquaculture session presented new opportunities and possibilities for the aquaculture sector. In that field autonomous and unmanned controlling systems could increase safety and ensure a higher efficiency. All in all the conference was full of brilliant ideas and innovations with the purpose of developing the blue growth. The exchange of knowledge between researchers, industry and government is therefore primordial. For us as students it is a great opportunity to establish contact with industry and the NTNU. Nevertheless I was surprised about the omnipresence of the oil industry in most projects. Above all the chief researcher of Statoil was happy to present new oil exploitation projects in the Arctic Ocean. Some may call me naïve but in times where fighting global change is becoming vital it is unacceptable to continue on old paths. The lack or absence of renewable energies projects during the Ocean Week took me by surprise. In the Aquaculture session I was also surprised about the lack of the animal well-being consideration, especially during the fish slaughter process. In conclusion, the Ocean Week is an incredible source of motivation and inspiration. It is not only highly interesting and instructive but also a great meeting point, which opens doors for future experiences in the various Ocean fields. If you happen to go there (you should! 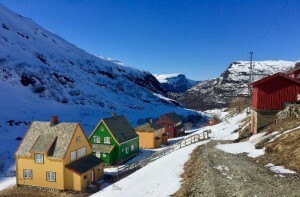 ), than visit Norway. It is such a beautiful country!